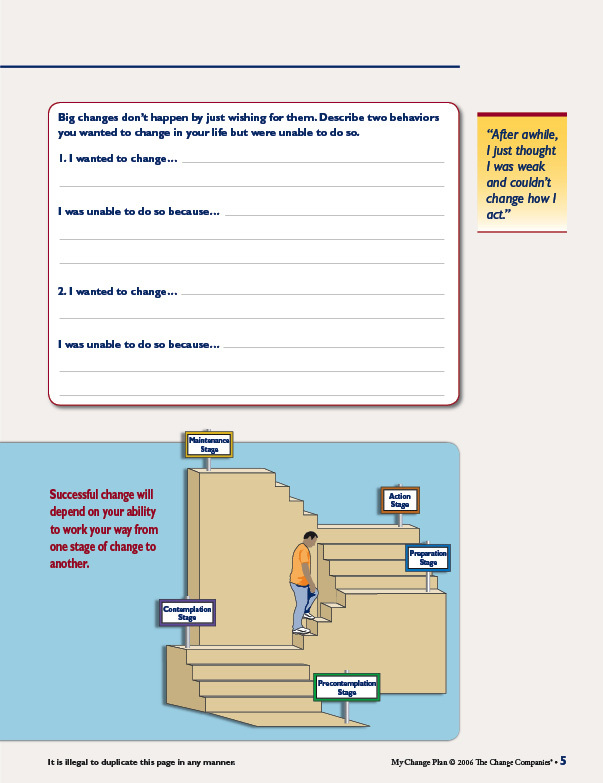 My Change Plan asserts that all change is self change. 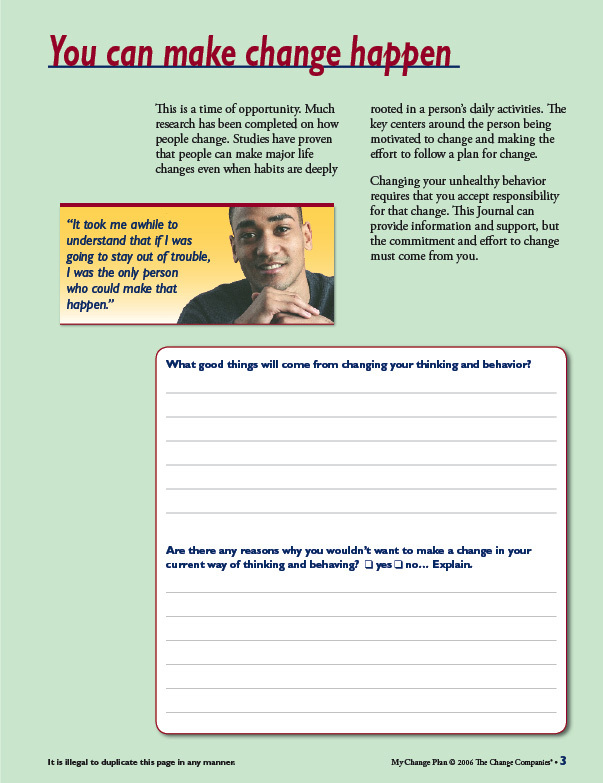 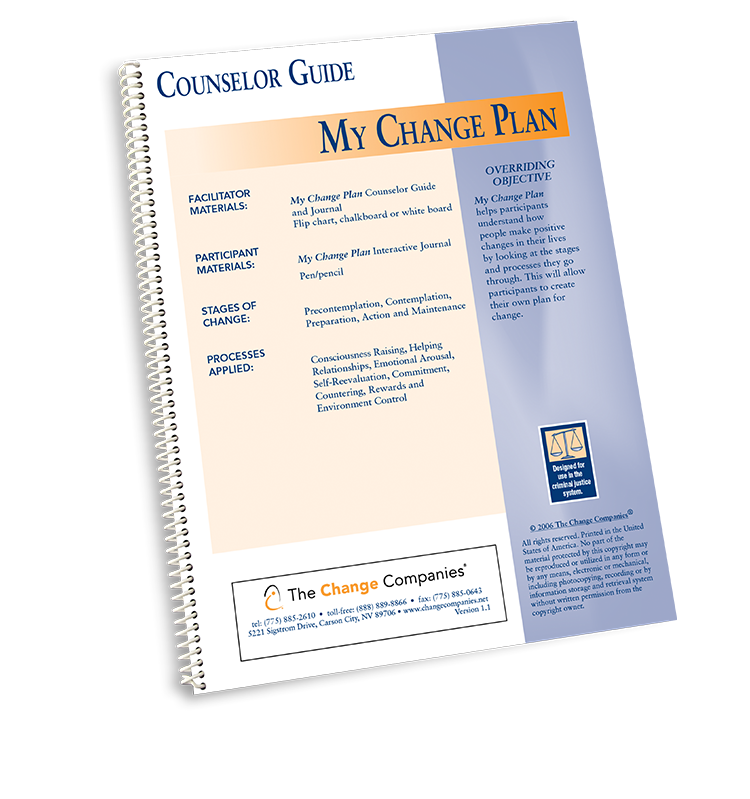 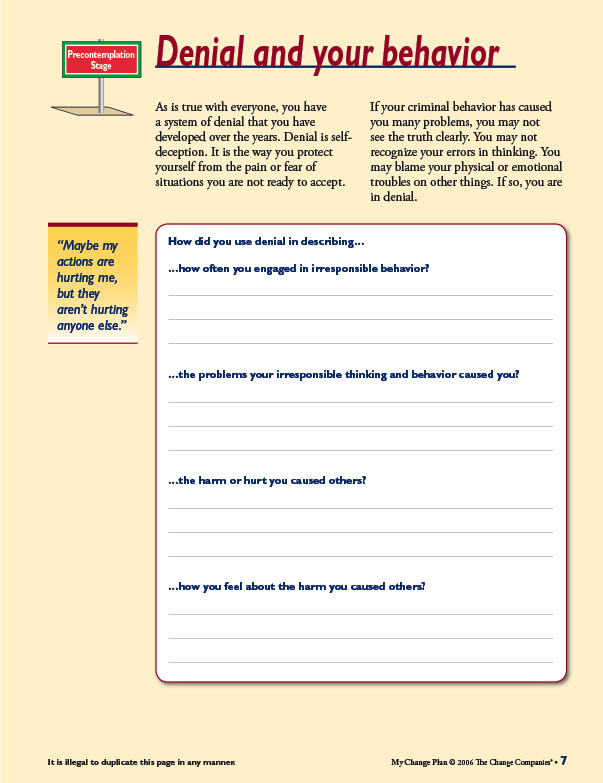 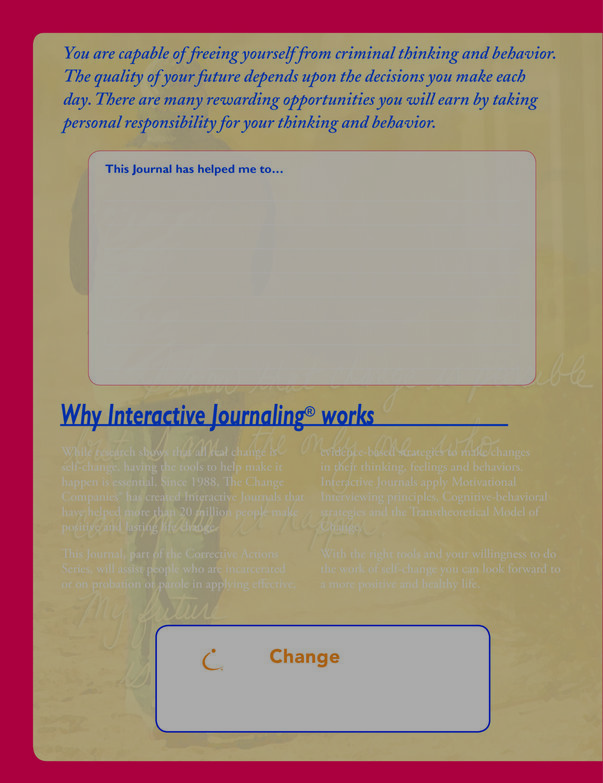 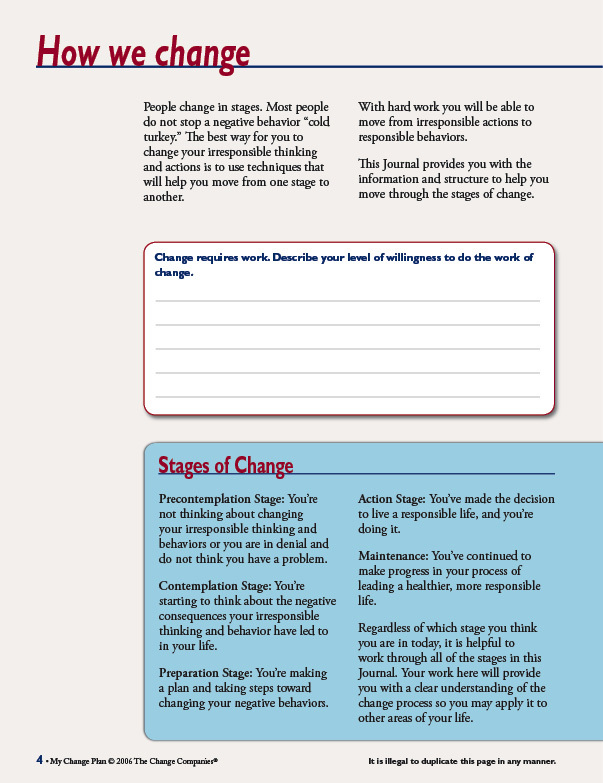 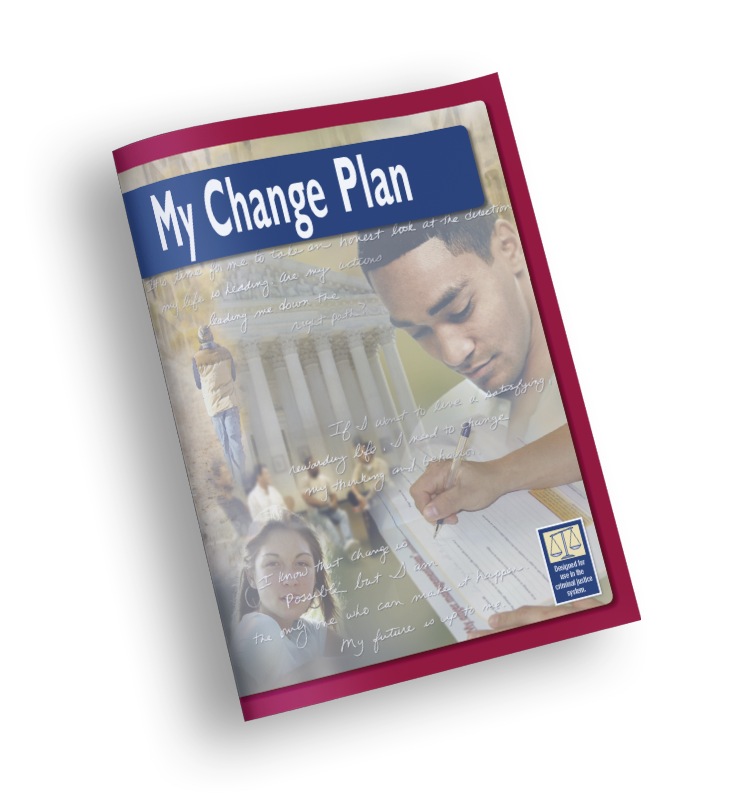 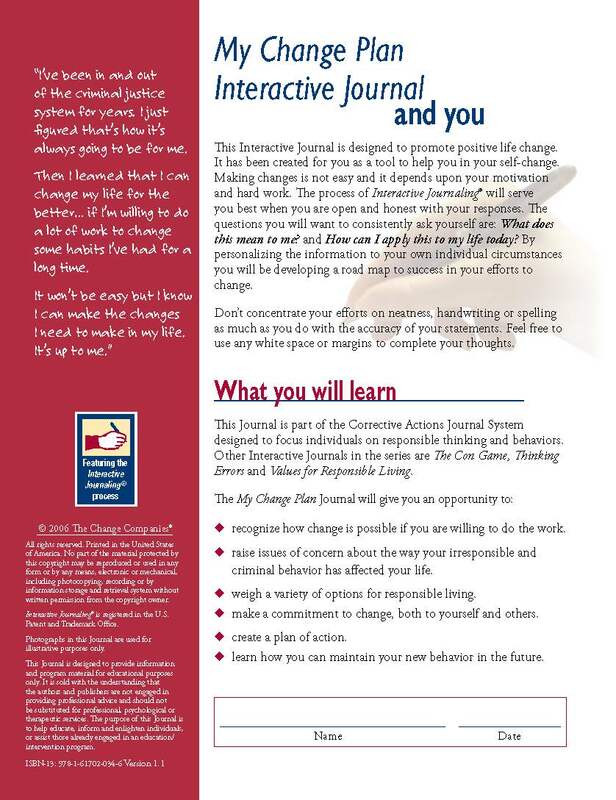 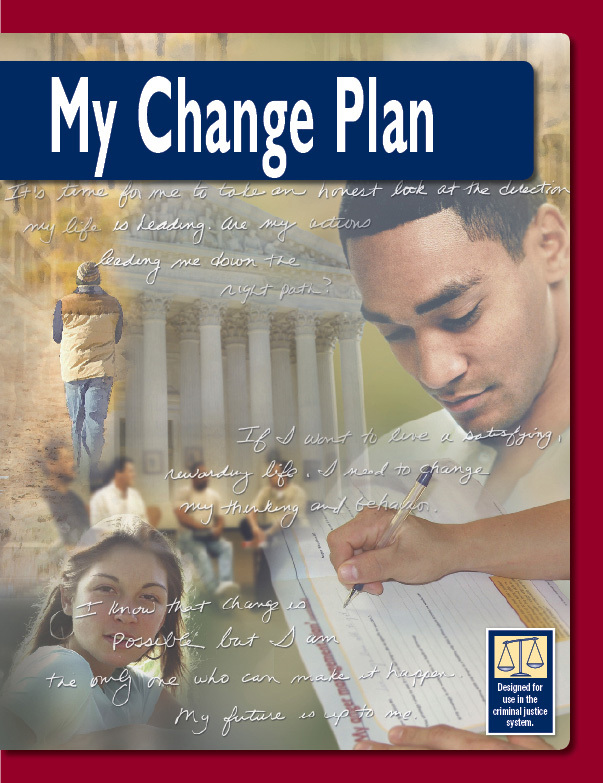 The Journal guides individuals through the stages of change providing the appropriate proven strategies for change along the way. 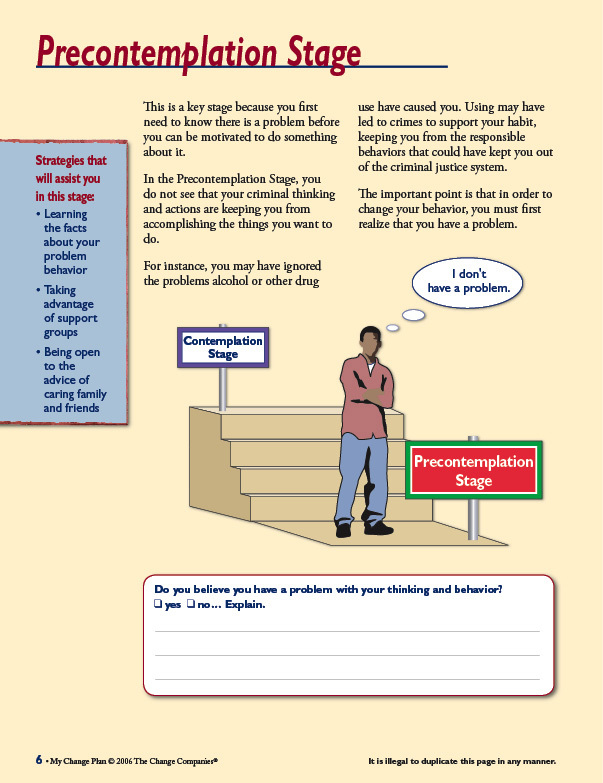 Special emphasis is placed on the unaware (precontemplative) and raising of concern (contemplative) stages.